Set of 30 beautiful high resolution images can be used as hero images on your website, as blog post featured images, to enhance your social media profiles and much more. 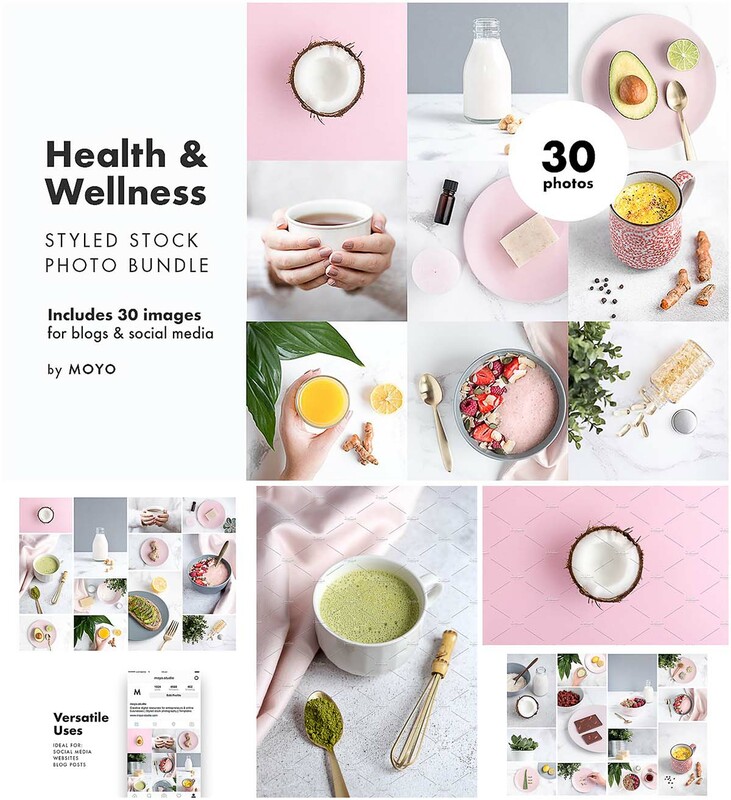 Ideal for: wellness, health, fitness, beauty and lifestyle bloggers, e-commerce stores, health and yoga coaches, spas and retreats, holistic and mindful businesses. Tags: aloe vera, avocado, breakfast, fitness, ginger, health, lemon, lifestyle, matcha latte, milk, retreat, social media, succulent, wellness, yoga. No se puede descargar, me pueden ayudar? Download link opens this exact page in a new tab or window, and does not download anything. Nice images though. We fixed it) Try again! Sorry DL link doesnt seem to work?